On May 10th, Timmy and I went to the Field Museum's members' night. This photo was taken in Fotio's photobooth. Sue's under construction new home. The best part of the night was when we visited the Hall of Dinosaurs. There was no one else in the room when we arrived, so, we got to check out the room in total quiet. It inspired Timmy to be quite silly. They had a scavenger hunt where they provided you with a postcard that had five symbols on it; you had to figure out which area of the museum each symbol represented and collect the blue circle button from there. Once you had the five buttons, you turned them in for a prize (the little notebook, or a toy dinosaur for the children). These photos are from May 1st when Timmy and I took a water taxi to Chinatown. A ten ticket ride from Chicago Water Taxi for use during the week is only $20.00, and can be shared by multiple people. A lot more enjoyable trip than taking the train or a bus. We ate lunch at MCCB Chicago. If you sign into their Wi-Fi while you are there (and join the mailing list that pops up), you get a "free Italian Soda or a House Special Sweet Soup Dessert." We went for the Italian Soda (I think we ordered raspberry). I ordered the Chef's Special Stir Fried Selection with chicken (pictured below). Timmy ordered the Hawaii Fried Rice. My dish was really hot (the menu and the waiter warned us that it would be), so, we ended up splitting our dishes to have some cool breaks in between the heat of my dish. Both dishes were amazing, and our waiter was wonderful. After walking around for a while, we went to Ice Max for dessert. I ordered the signature crepe cone (mangoes, strawberries, custard cream, whipped yogurt, almond, chocolate syrup, Pocky sticks, chocolate pearls, and vanilla ice cream). Timmy ordered the rolled Thai ice cream in Panda Panda (Oreo, chocolate chips, M&M's, chocolate syrup). It was pretty tricky to eat my crepe cone after I had finished the top part, so, I don't think I'd order a crepe cone again. I think I would have enjoyed it more with the crepe on the side, so, not only would it be easier to eat, but it could be used as a palate cleanser between bites of ice cream (I didn't enjoy the ice cream soaked crepe). The rolled ice cream was really good. On the way home, we stopped at Cesar's Killer Margaritas (not in Chinatown). I didn't realize that the fruit margaritas were all lime based, so I was disappointed with the strawberry margarita I ordered; after having all the peppers in my lunch, my stomach was not ready for a glass full of citrus. As a nice surprise though, they bring you shots on tequila with your check. We took these photos last Monday when Timmy and I walked the Chicago riverwalk on Memorial Day. Our reflection in the riverwalk tiles. I love this skirt I commissioned from Mid-Century for Modern last year to use as a Wonder Woman skirt. The fabric is stiffer than I realized when I picked it out on Fabric.com, but it works beautifully because it is nice and full without a petticoat. Christine made it with wonderfully big pockets, and a firm waistband that doesn't get fold over on itself whenever I sit down (plus size problems!). These floating gardens by the riverwalk are so lovely. A few weeks ago I saw personalized krazy straws on Instagram and immediately wanted to buy them for everyone we know. I ended up ordering four straws (though I can definitely see myself ordering more for others in the future). There are several different websites that sell them but the cheapest I found was from KrazyStraws.com. 1-6 letter straws only cost $5.99 and 7-8 letter names cost $9.99 (there was no listing for longer names). My shipping cost for four straws to Chicago was $5.26 (it shipped from Eagle Pass, Texas). You can see what Krazy Straw's lettering looks like by going here. I placed my order on February 13th. On February 15th I received a shipping tracking number, and a couple hours later an email with four individual images of what my straws looked like. Tracking information showed that the package was received by USPS on February 16th (a Friday), and the item was delivered to me on February 20th (a Tuesday). I was impressed and surprised to receive my order only a week after I ordered it (especially because there was a disclaimer when I placed my order than it can take up to 10 days to ship). Keep in mind that they are traditional in how they write "m" and "n"; any lowercase "m" will have three humps, and any lowercase "n" will have two humps. 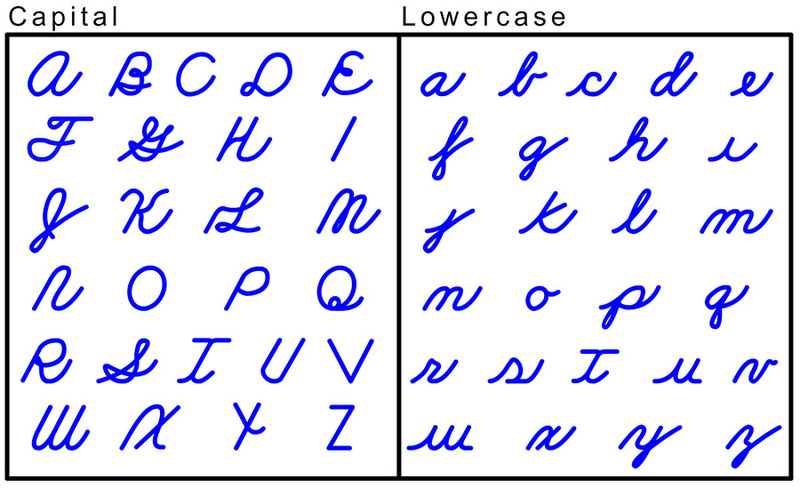 Since it is more common nowadays for cursive to be taught with two humps for "m" and one hump for "n," I really wish they had an option for that; especially because in names with more than one "m" or n" it can get unwieldy, as you can see with Timmy's straw. Some letters look more awkward than others when they are the first letter; I felt that "K" looked a little strange as a starting letter (as seen below with the Kelsey and Kirsten straws). Kirsten's straw was extra-ridiculously long. My straw turned out the best, and coincidentally looks a lot like how I sign my name. Final verdict: I love that the letters are not flat, so, they look extra fun from the sides. The straws are a little unwieldy, especially with longer names (Kirsten's straw was 13 inches wide). Some letters look a bit strange due to the fact that everything has to be connected. For example, the lowercase "i" looks a lot like an "e" since it cannot be dotted (see Timmy's and Kirsten's straws above). And the lowercase "t" looks like an uppercase "T" since it is crossed at the top rather than the middle (see Kirsten's straw). After looking over Krazy Straw's font sheet (linked above), I think that the lowercase "x" is also likely to look strange. I was really happy with my name straw as all the letters were pretty basic, and I write my name with two humps for the lowercase "n" anyway. I was also happy with Timmy's and Kelsey's straws; although I had minor issues with theirs, overall, they were easy to read. Kirsten's straw, however, I was quite disappointed with; I don't feel that the first half of her name is easily readable. The "K" looks awkward, the "i" can be confused with an "e," the "r" and the "s" don't look that different, and the "t" looks odd crossed at the top. That said, I don't really think there is anything Krazy Straws could have done differently to make the straw look better. Some letters just aren't going to look as good when everything has to be connected. I would recommend KrazyStraws.com to others, and I will likely order from them again. The main thing I learned was to look very carefully at the lettering sheet to determine whether you think the name/word you have in mind will look good in krazy straw form before you order.